Manchester United FC, Paris Saint-Germain and Boca Juniors coming to Dr Pepper Dallas Cup 2012 | Dallas Cup, Inc.
Executive Director Gordon Jago, Dr Pepper Dallas Cup XXXIII and Nike Inc. are pleased to announce the confirmation of English Premier League Champions Manchester United, legendary French Ligue 1 club Paris Saint-Germain and Argentine Primera Division champions Boca Juniors to the Gordon Jago Super Group at Dr Pepper Dallas Cup XXXIII April 1-8, 2012. "We are excited to partner with the Dr Pepper Dallas Cup for a third year" said Joe Elsmore "Nike North America Soccer Sports Marketing Director”. With the participation of these teams, the Dr Pepper Dallas Cup will continue to showcase some of the best youth elite soccer talent in the world." Boca Juniors: Boca Juniors, arguably the most famous club of South America, boast an impressive trophy case with 25 Argentine championships, 6 Copa Libertadores titles and won the 2011 Argentine Primera Division championship on December 4. Their famous academy has produced current Argentine National Team members Carlos Tevez, Nicolas Burdisso, Ever Banega and Fernando Gago. “To have these three renowned clubs send their teams to the Dr Pepper Dallas Cup is especially satisfying to us and our superb sponsor Nike Inc. who has worked together with us to bring these excellent teams to Dallas next year” stated Randy Jones, Dallas Cup Tournament Manager. 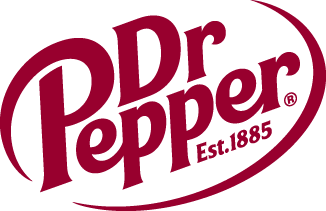 Dr Pepper Dallas Cup is the oldest international youth soccer tournament in the United States, celebrating its 33rd year in 2012. Dallas Cup contains seven age groups from U13 to U19 level and entertains on average more than 160,000 spectators during the week. Since its inception in 1980, Dallas Cup has played host to teams and referees from over 45 states, 100 countries and 6 continents. If interested in sponsorship opportunities with “Dr Pepper Dallas Cup XXXIII” or the “Dallas Is Diversity Program” please contact Executive Director Gordon Jago at the Dallas Cup office via phone at 214.221.3636 or via email (gordon@dallascup.com).